Move over vodka. There’s a new neutral spirit taking over the cocktail shaker at your neighborhood bar. WASHINGTON — Move over, vodka. There’s a new neutral spirit taking over the cocktail shaker at your neighborhood bar. It’s pisco, and the brandy native to Peru and Chile is experiencing a renaissance in the U.S. When diners walk into José Andrés’ newest downtown eatery, China Chilcano, most order a pisco sour. “It’s a relatively perfect cocktail,” says Andy Myers, a master sommelier and the wine director for Andrés’ ThinkFoodGroup. 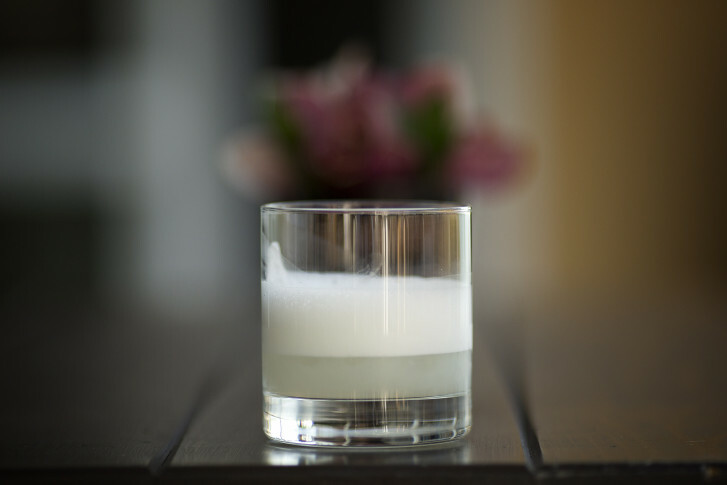 The drink is a mixture of pisco — a spirit distilled from grapes — lemon juice, simple syrup, bitters and egg whites. When an empty glass hits the table, Myers makes his move: He encourages diners to branch out of their comfort zones and sample one of the 30 pisco varieties offered at China Chilcano — or at least a different pisco-centric cocktail. But it wasn’t always that way. Pisco, which can be traced back to 16th century Spanish settlers, only started to become a top-shelf staple in the last few years — both in the U.S. and globally. The spirits brand Macchu Pisco launched in 2006, and since, the company has seen a 30 percent increase in sales each year, The New York Times reports. In 2011, export sales of pisco were up 139 percent from the year prior. And demand has only continued to increase. Myers says pisco’s rise in popularity can be attributed to a few factors. One is “the exciting explosion of mixology, craft spirits, craft bartending and people really taking their drinks very seriously” — an era that’s helped to revive classic cocktails, such as the daiquiri, the Mai Tai, the old-fashioned, and yes, the pisco sour. Pisco’s adaptability has also helped it climb the ranks in the spirits market. There are a few different styles of pisco, but for the most part, the grape brandy is relatively neutral in taste, therefore lending itself nicely to versatility. Myers likes to drink his pisco with a high-quality ginger ale, lime juice and a few dashes of bitters — it’s a drink known as The Chilcano. Pisco can even be substituted for other clear liquors in drinks such as daiquiris and Negronis. “Take some of your favorites that use white spirits, slide a little pisco in and see what happens. Worst case, you make a bad drink and you make your least-favorite friend drink that one,” Myers says. Behind the bar at China Chilcano, mixologists tend to large glass jars that are filled with pisco and colorful pieces of fruit — pineapple, sour cherries, strawberries and kumquats. The infused pisco, or macerado, is then used in a variety of the restaurant’s cocktails, or it’s sipped on as-is. “I think bartenders are just having fun with a spirit that lends itself to creativity … It’s just so much fun right now,” Myers says. The growing presence of South American cuisine has also helped pisco sail to the top. Restaurants such as Toro Toro, Del Campo, Rural Society and China Chilcano have opened in the last few years to satisfy D.C.’s taste for Latin American flavors. This year, a restaurant from Peru made the top 10 list of the world’s best restaurants. Lima’s Central landed at no. 4, directly behind Copenhagen’s famed NOMA. Pisco is not only more readily available in U.S. bars, it’s become a common sight in liquor stores too. And Myers encourages curious consumers to pick up a bottle and get creative at their next summer gathering. He suggests mixing up a pitcher of Chilcanos to start (two parts pisco, four parts ginger ale and one part lime juice). “You’re going to have a tasty drink. It’s easy and you don’t really need very much,” he says. And as the evening progresses, substitute pisco in for your usual go-to spirit. “I find the more you’re willing to branch out and try something new, the happier you tend to be,” Myers says.